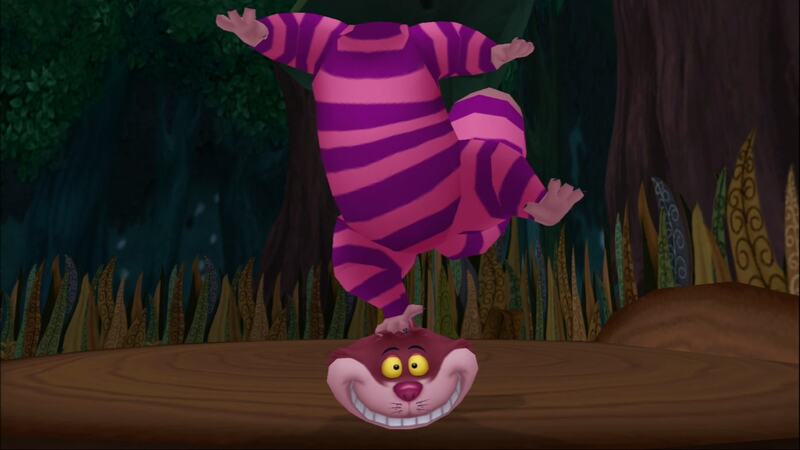 The Destiny Islands are a beautiful paradise where children's laughter abounds. Day after day, Sora, Riku, and Kairi talk and dream of new places, new worlds beyond their islands. They ponder the usual questions that adolescents do - about the world outside, about their own existence. Little do they know a great destiny awaits them. 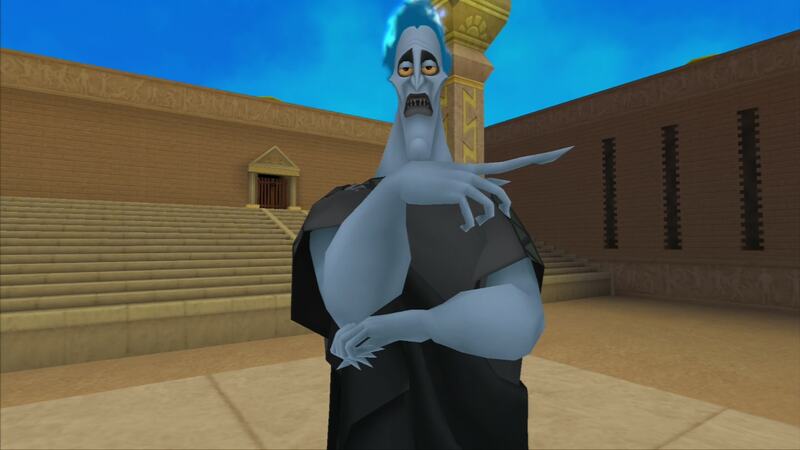 One stormy night, a terrible darkness invades Destiny Islands. 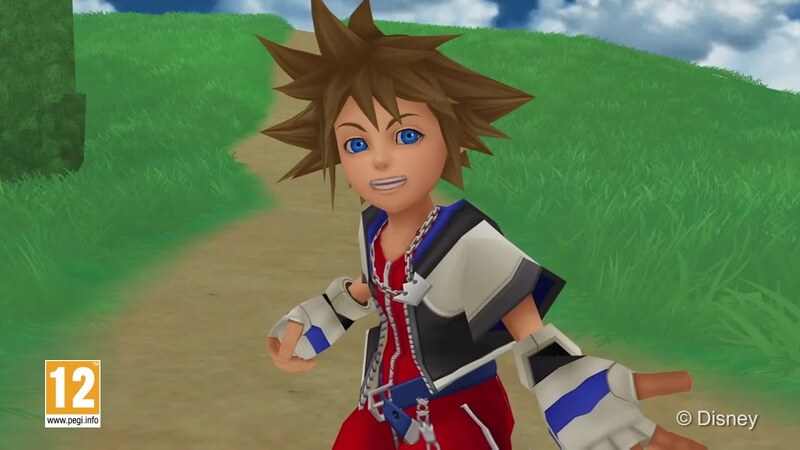 Thus does their journey begin... Sora awakens in another world in a place called Traverse Town. 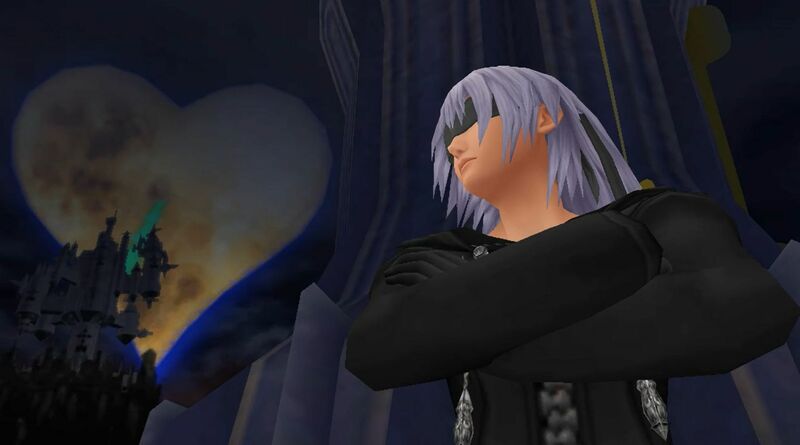 Follow Roxas, the “other” hero from KINGDOM HEARTS II, and discover more about his days as a member of the mysterious Organization XIII. 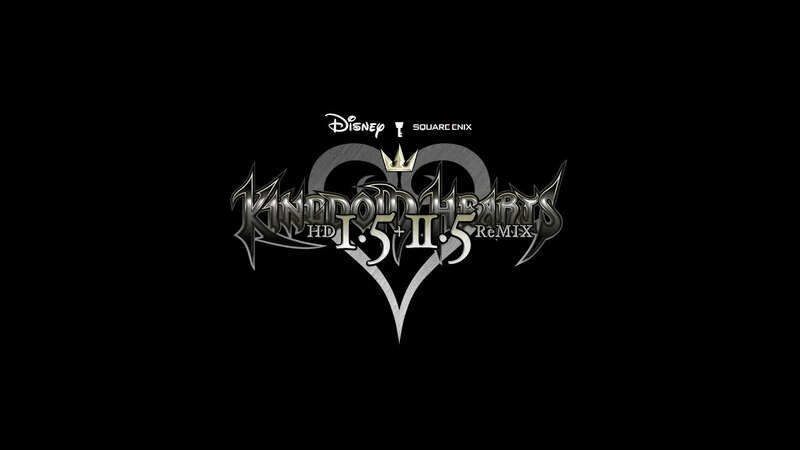 What is the connection between Roxas and Sora? 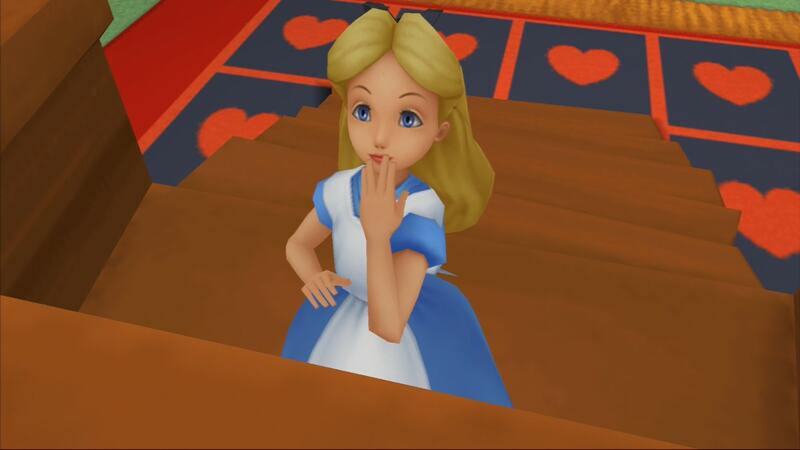 Who is the mysterious 14th member, and what were the reasons for her eventual departure from the Organization? On the night his island is besieged by a mysterious storm, Sora is whisked away to an unfamiliar burg known as Traverse Town. 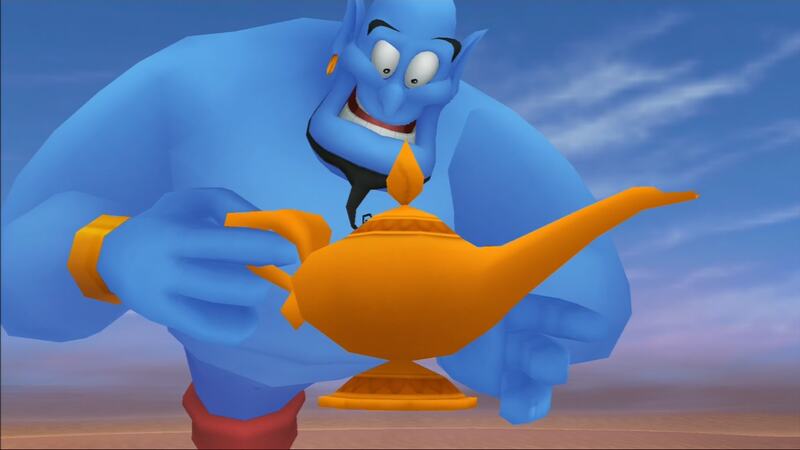 There he meets Donald and Goofy and learns of the world's strange happenings. 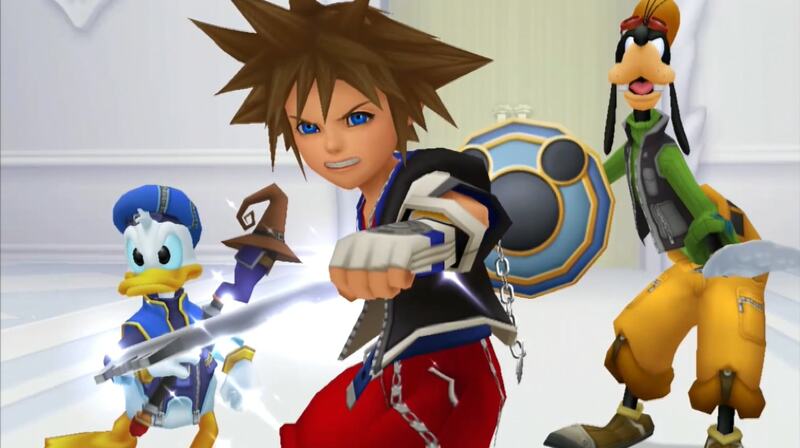 Donald and Goofy set off to look for their missing King, and Sora joins them to search for his lost friends Riku and Kairi. 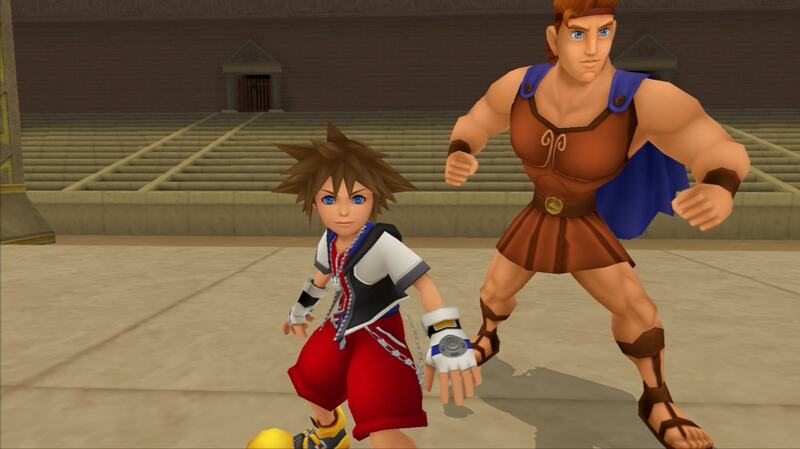 After a long journey that takes them across numerous worlds, Sora and friends find Riku and the King at last. 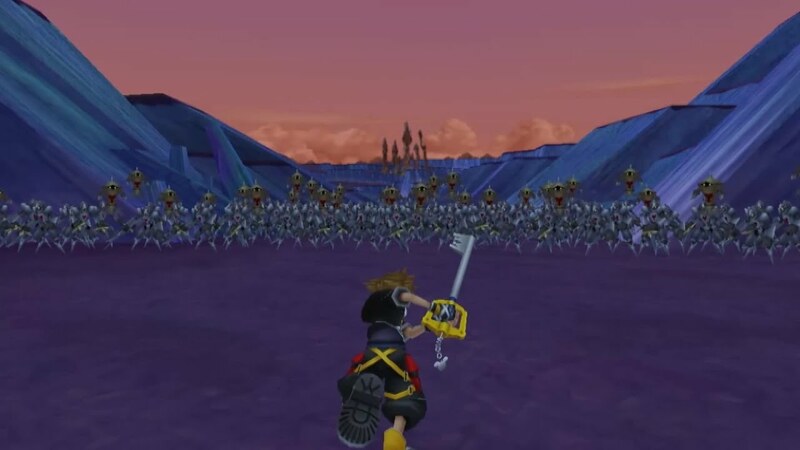 But to save all worlds, Sora must use his Keyblade to close the door to darkness, even though Riku and the King are on the other side. 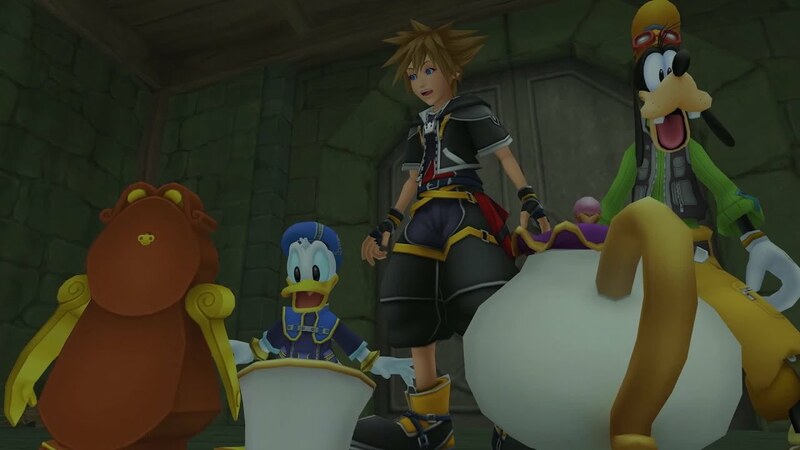 Believing the King's parting words - that there will always be a door to the light - Sora locks the door and he along with Donald and Goofy set out on a new journey. Autumn inches closer in Twilight Town, and Roxas wants nothing more than the last days of his summer vacation to be the best. Instead, the boy watches the world he knows unravel, as curious monsters and men cloaked in black tarnish his fun-filled days. By the time he understands the truth, there is no escaping it: his summer vacation must come to an end. Three Keyblade wielders - Terra, Ventus and Aqua - have been training long and hard under Master Eraqus to prove that they, too, exhibit the Mark of Mastery. 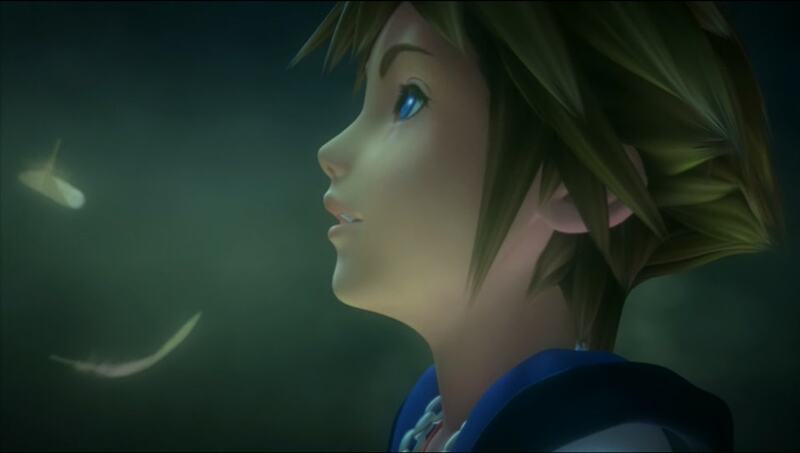 Sora's journey in KINGDOM HEARTS II has drawn to a close, and now a new tale is set to begin. Jiminy Cricket is looking over the journal he used to document his first adventure with Sora when he discovers a mysterious message. He didn’t write it – so how on earth did it get there? King Mickey is determined to find out, so he and his friends decide to digitize the journal and delve into its deepest secrets. 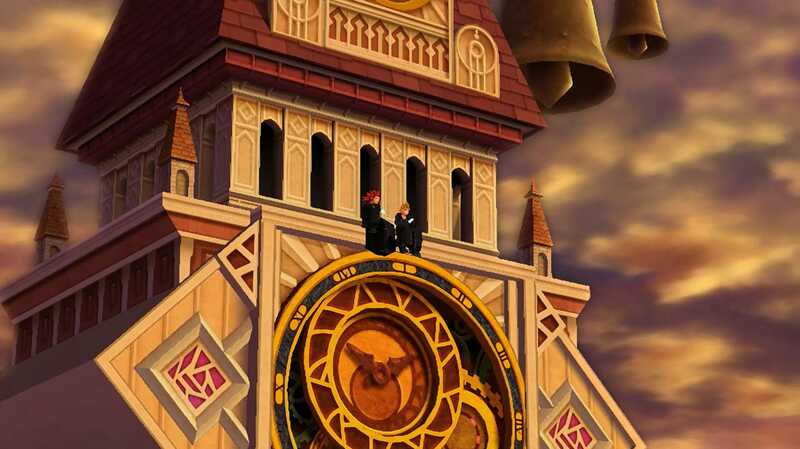 Inside this “datascape” dwells a second Sora who is about to embark on a grand adventure of his very own.